Playing Brazilian jazz music is one of the most enjoyable things that I do as a performer. While discussing this art form with the bass player in one of the groups I play with, I decided to write out a typical Bossa Nova rhythm pattern for the guitar. If you are new to this style I hope the following exercise will help you develop your "Bossa Chops". Pluck the bass line (stems down) with your thumb and the other notes (stems up) with your fingers. I recorded an audio file which is found below the sheet music. Although I strongly encourage you to read the music in staff notation (see my ongoing series on reading staff notation for guitar here), you can download a version that includes tablature below. 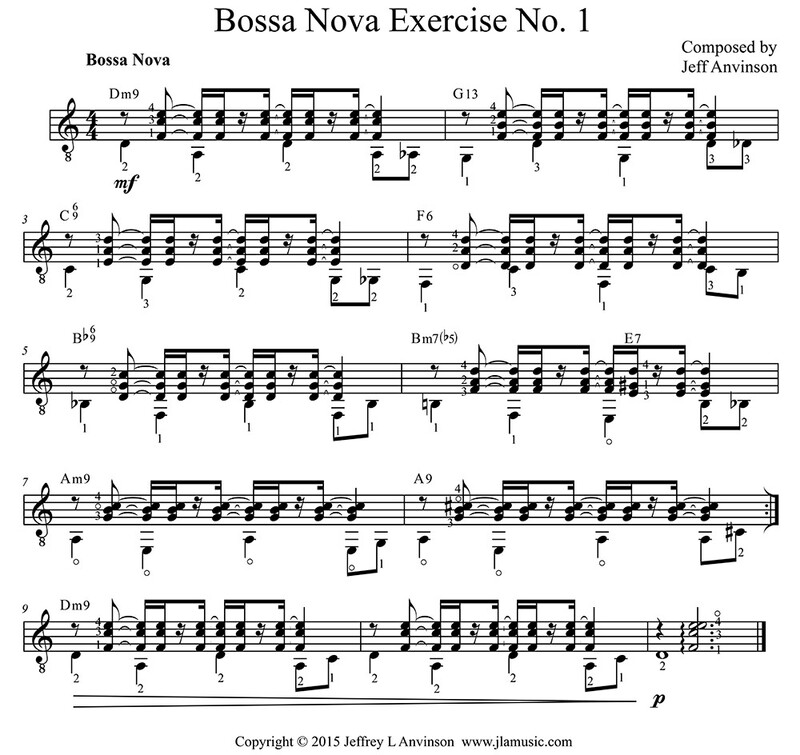 I hope you enjoy playing this Bossa Nova exercise!